The Urban Large Floating Shelf is a quality piece of furniture for any room in the home. This modern shelving unit is industrial in design, suiting contemporary and minimalist spaces. The shelf is designed to appear to be floating. The metal frame is offset by the rustic, wood-effect finish. Use the Urban Large Floating Shelf as an attractive feature in the room or to increase the useable surface area you have available. The industrial detail works beautifully with the floating shelf. Use the Urban Large Floating Shelf as an alternative to a standing book case or shelving unit, or to compliment larger pieces in the home. Position this one on the wall and make the best use of the space you have available. The metal frame surrounds the wood effect shelving, resulting in an attractive piece of practical furniture for the home. You can use this shelf for multiple purposes. The Urban Large Floating Shelf works as a display space for your trinkets and keepsakes. It's also ideal for storing essential items such as keys, hats and it could even make an interesting charging station for your mobile phone and other gadgets. The Urban Large Floating Shelf is part of the Urban Collection. Create an industrial atmosphere in the rooms of your home by introducing the clean lines and clever styling of each piece of furniture. 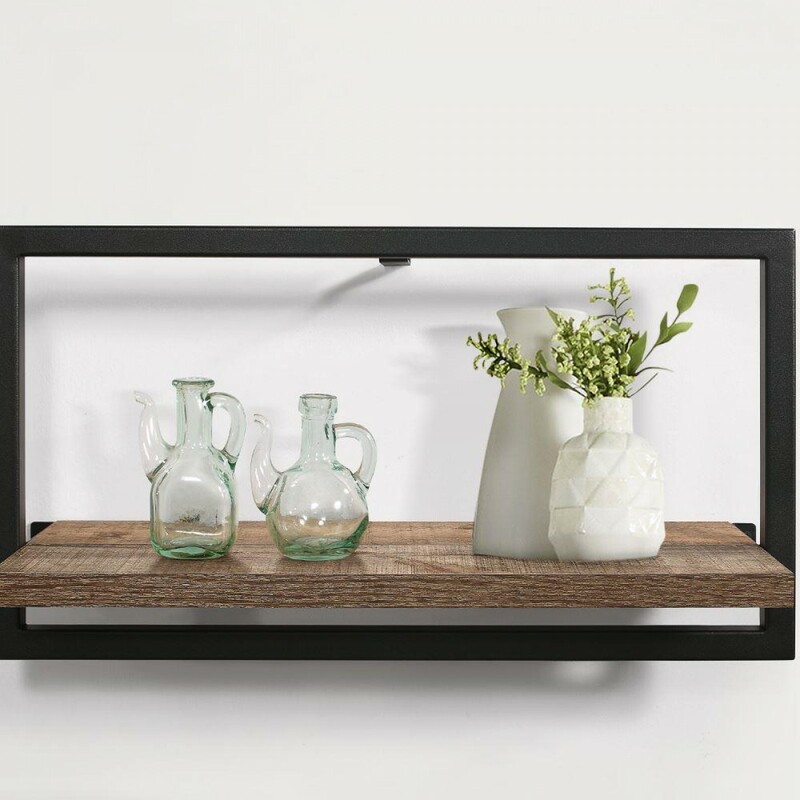 Mix and match the Urban Large Floating Shelf with other pieces from the collection to complete the look. The Urban Large Floating Shelf is a practical piece of furniture that increase the amount of usable space in any room. The industrial design works well in any space, from the bedroom to the hallway or living room. The product is part of the Urban Wooden Bedroom Furniture Collection.